OCEAN CITY, Md. – Ocean City’s popular holiday festival will open to visitors next Thursday, November 15th, kicking off with a magical tree lighting ceremony. The special ceremony is set to kick off at 5:30 PM at Northside Park’s Winterfest Village at 127th Street and the bay. It is free and open to the public. Ocean City Elementary School’s “OC Stars” will be present, performing holiday songs and dance. 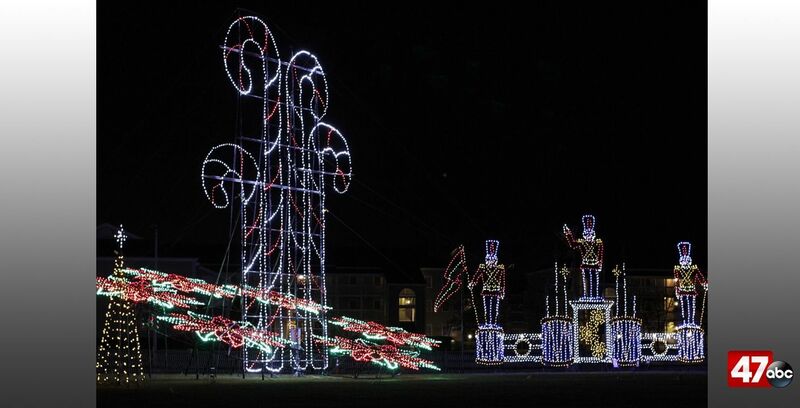 Mayor Rick Meehan will “flip the switch” to light the 50 foot Christmas tree and officially open the event. Free rides will be offered on the Winterfest Express train for the remainder of the evening following the ceremony. We’re told that even Santa is scheduled to make a surprise appearance for the opening ceremony. Starting November 16th, Winterfest will operate Sunday-Thursday, from 5:30 PM to 9:30 PM, and Friday and Saturday from 5:30 PM to 10:30 PM. Admission is $5 for those 12 years of age and older, and free for those 11 and under. Advance tickets can be purchased in advance at the Ocean City Community Center and the Convention Center.